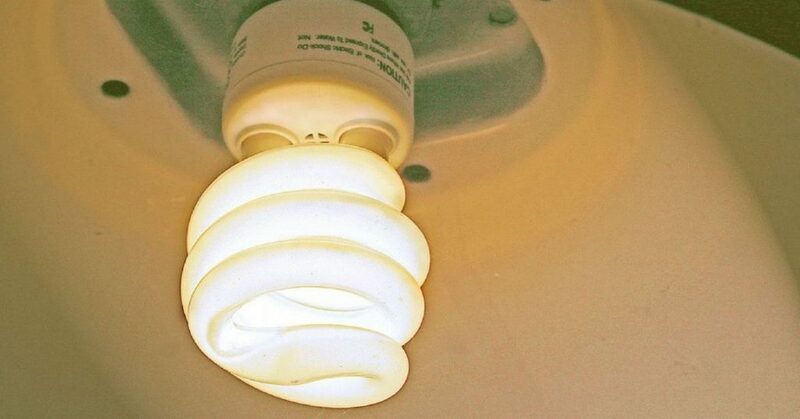 When they were initially introduced on the market, the environmentally-friendly compact fluorescent lamps (CFLs) quickly became a hit, as they were marketed as a great way to save money and the environment. There were even countries that decided to entirely phase out traditional incandescent light bulbs. However, there are still experts who believe that they might not be the best option for us. First of all, according to some, when turned on, these light bulbs release carcinogenic chemicals that wreak havoc on our health, like toxins, like phenol, naphthalene, and styrene. They claim that one should not use these light bulbs in unventilated areas or keep them turned on close to the head. Moreover, the study conducted at the Haifa University in Israel and published in the journal Chronobiology International found that when used at night, they can increase the rates of breast cancer, and the bluer light CFLs emit disrupts the body’s melatonin levels. Many people also report struggling with symptoms like migraines and skin conditions as a result of the use of CFLs. On the other hand, other scientists claim that these light bulbs contain mercury, but in very small amounts, and emit ultraviolet radiation at very low levels, so there is no reason to panic. Namely, the results of a study conducted by Stony Brook University in New York showed that skin cells in Petri dishes changed after being exposed to these light bulbs, in the same way as if exposed to 20 minutes of direct sunlight in a month like September. This means that the UV rays are not as harmful as thought. ” If you break one, open a window to air out the room for 10 minutes. Then, wearing disposable gloves, use stiff paper to scoop up the broken glass and powder, or use damp towels or sticky tape (don’t vacuum, since that can spread the powder or vapor). Dispose in a sealed plastic bag or container. Currently, the market for the CFLs has been drastically shrinking due to the use of even more energy-efficient LED (light-emitting diode) bulbs. The quality of these bulbs has optimized, while the price has dropped, and what’s more, they contain no mercury and do not release UV. Therefore, before making the complete switch to the energy efficient light bulbs, you need to stay up to date with the health standards, consider all options, and be entirely sure that you have optimized the safety of your family.